Conversational Club "Listen Twice" blog: European Day of Languages! 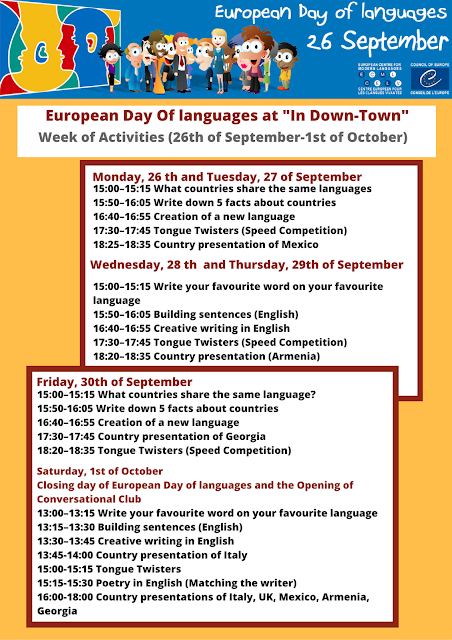 The language school In Down-Town invites you to participate in celebration of European day of Languages. You can join our activities whole week starting from 26 of September. Come, have fun and bring your friends! On the last day of celebration will be also the opening season of Conversational Club "Listen Twice" ! Don't miss it!